Rewalsar is home to some 1400 people, about 580 of whom are Tibetan refugees. In the Tibetan community there are approximately 100 children, 70 elderly (age 70+) with the rest of the adults split between monks, nuns and lay people. Alongside the individual support project which has been running since 2013, we have been hoping to develop a wider community initiative. During a recent visit (February 2016) by Rowena Field, Debbie Conlon and Lama Lhakpa Yeshe, discussions with members of the local community indicated that one of the hindrances to both integration and the ability to find work was the language barrier and low literacy rates among the refugee population. With a longer term goal of trying to empower Tibetan exiles to help themselves we are trying to get a community centre up and running where it will be possible to provide educational opportunities for those adults who did not have the benefit of schooling in Tibet. We also hope to provide classes in conversational Hindi and English, which will be useful in communicating with both locals and tourists. 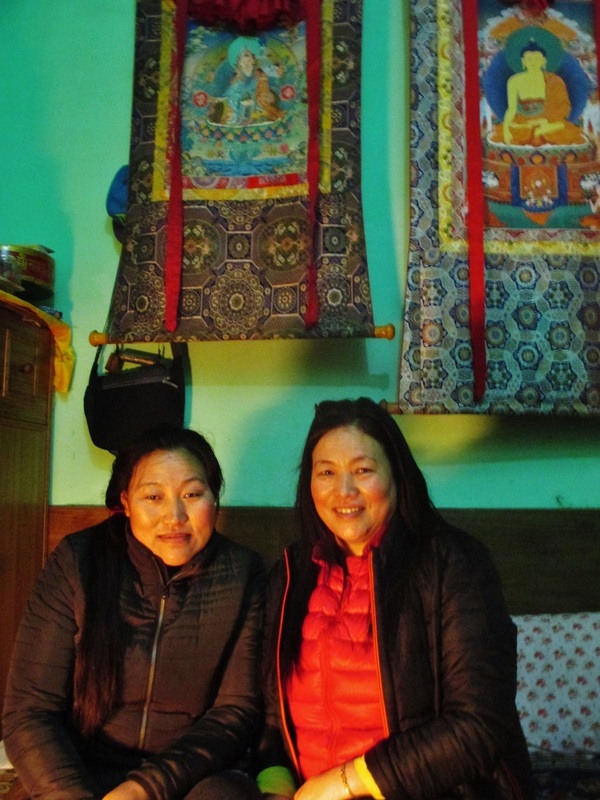 There is also interest in using the centre as a base for a Tibetan Women’s group, a place for elderly people to meet and as a base for exploring ways of collaborating with others in local environmental improvements. Longer terms plans include seeking accommodation with rooms to rent out to visitors with space for a cafe to help ensure the project is largely self-financing. ​The community centre will be a resource for everyone in the community, not only Tibetans, and this will hopefully help with further integration. While work is going on to find suitable premises, the Committee has been given a loan to finance the first 6 months of running. This should cover rent, some furniture/equipment and the hiring of teachers. There is no provision like this in Rewalsar at the moment nor capacity to fund it. From a western perspective though the costings involved are relatively inexpensive. For example, £30 would cover the monthly rental on a building, with a teacher costing just £1.50 per hour. Can you spare something to help cover the start up costs? If you can, please click on the ‘Donate’ button below. Choezom and Gelek - two of the seven Committee members. While there are 7 Committee members at present, all Tibetans (3 men and 4 women), it is envisaged that members of the local Indian community will also come on board to ensure the whole community is represented.